The community is invited to attend and all ages are welcome. Children must be accompanied by an adult. 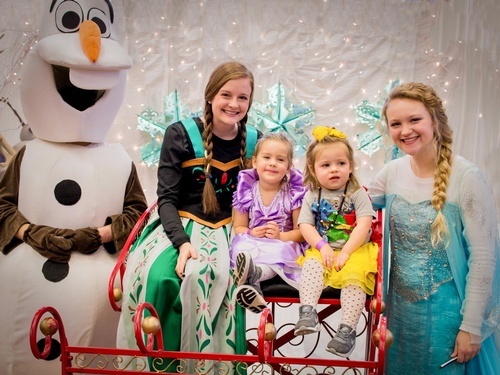 Snacks, crafts, activities and fun are part of the event, which also includes Harding students dressed as popular princesses and superheroes. Children are encouraged to wear their favorite character costume. The event will take place in the Heritage Auditorium of the David B. Burks American Heritage Building on Harding University Campus in Searcy. For more information, call the Harding Alumni Office at 501-279-4276. Tickets are $10 for children ages 2-12 and $5 for attendees 13 and older. Children under 2 are free. Tickets may be purchased at hardingtickets.com, FroYo Factory, Sassy Stitch, or any local First Security Bank. For more information, call the Harding Alumni Office at 501-279-4276.